Before the days of active & marketable product placement in film, a young California actor’s fortuitous choice of footwear in 1982’s Fast Times At Ridgemont High, helped boost the profile of Vans iconic silhouette… the Classic Slip-On. 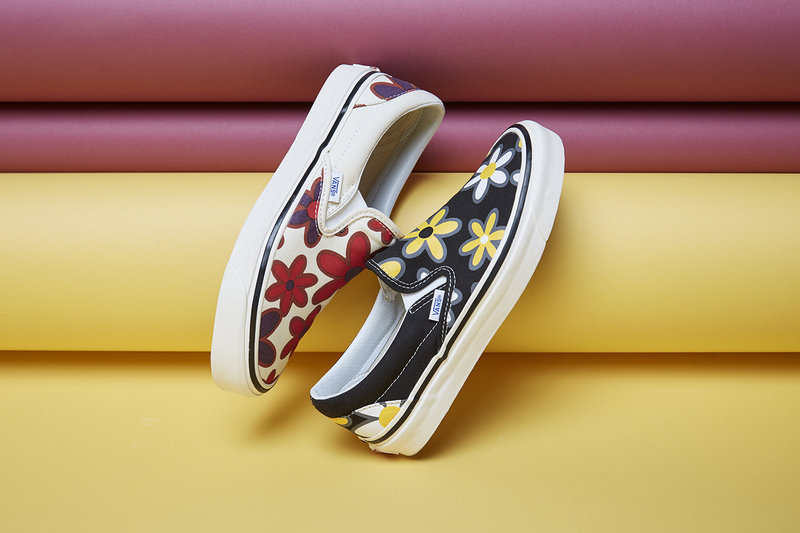 Sean Penn’s decision to wear black and white checkerboard Slip-Ons as unknowing brand ambassador Jeff Spicoli, thrusted Vans to worldwide notoriety, but more importantly would go on to define the playful attitude and off the wall mindset which still resonates with the brand today. 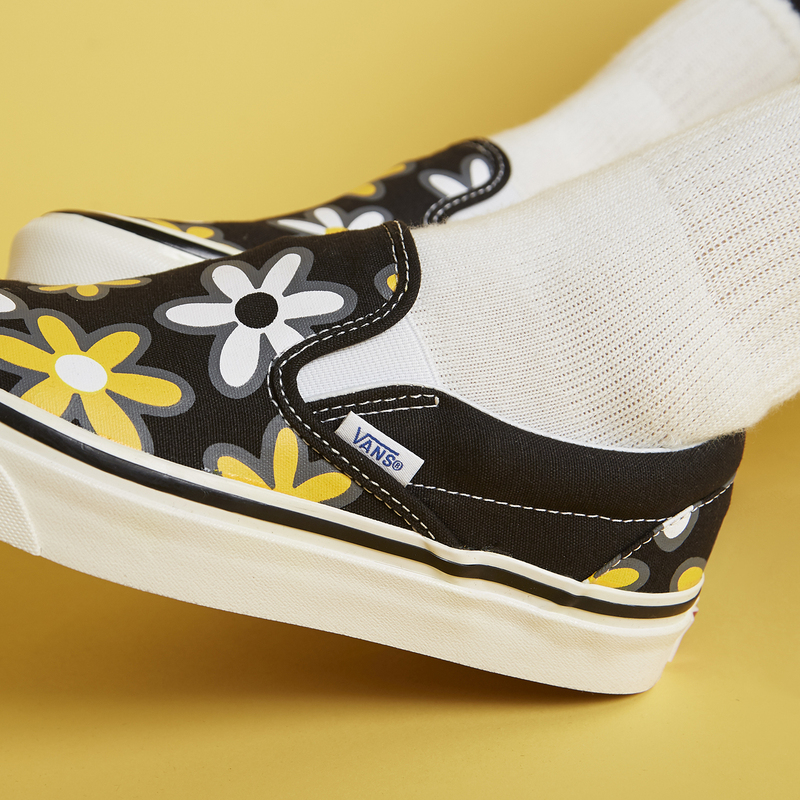 Like-minded surfers & skaters have been easing into the California comfort of the Slip-On since 1977. 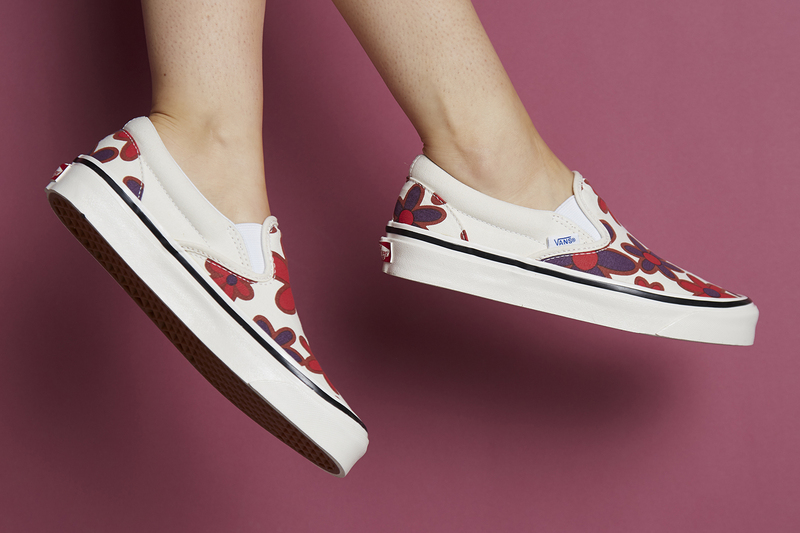 Designed purely for a casual sensibility, the Slip-On was originally without the padded collar around the ankle & was favoured in boating circles and by surfers. Importantly it was these surfers wearing humble Vans deck shoes who became mentors to the SoCal kids who would eventually revolutionise youth culture through the stoke-fuelled past times of bicycle motocross and modern skateboarding. 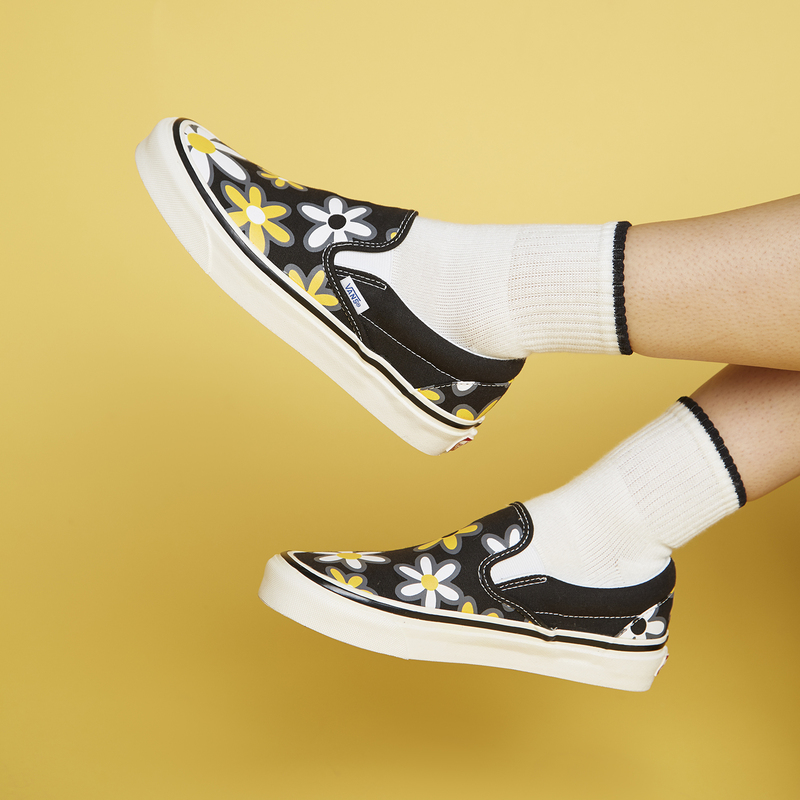 This latest rendition of the Anaheim Slip-On uses the classic black & white combination as a foundation, adding oversized floral print to the toe box and heel panel. 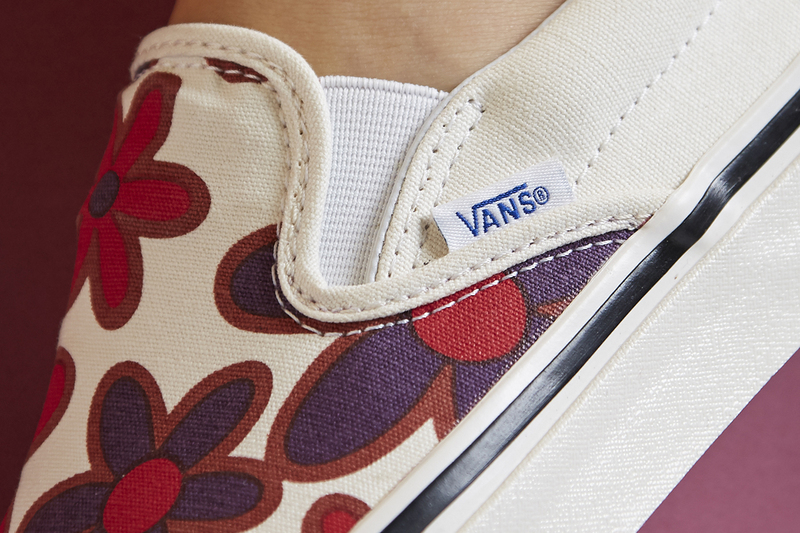 The Vans Slip-On 98 DX ‘Floral’ is available online and in selected size? stores now.